Personalise this left pointing Road Sign with a line of 15 characters and a further line of 25 characters. The first line will be in larger text. This left pointing Road Sign is made from aluminium. 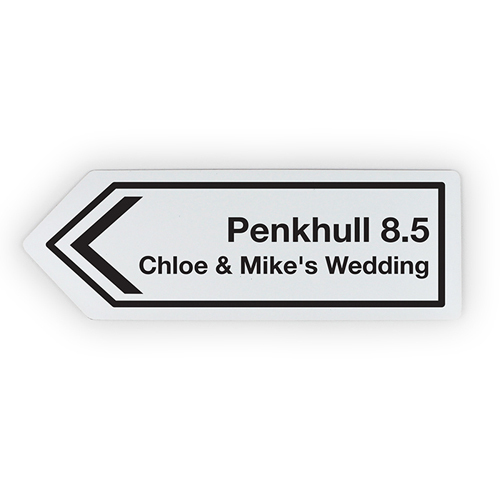 Personalise this left pointing Road Sign with a line of 15 characters and a further line of 25 characters.